Car Accident Wrongful Death & Personal Injury Lawyers, Riverside County, California! Riverside County, California Car Accident Lawyers With Over 40 Years of Experience and Success Rate Better Than 95%! We Have Won More Than 95% of Our Car Accident Cases! Riverside is the site of many serious car accident injuries, some involving deaths with wrongful death claims, with major collision damage. Should you be involved in any car accident or injury accident collision in Riverside, please contact us before giving any statements to any insurance company, even your own insurer. We offer FREE & CONFIDENTIAL case consultations and evaluations, even second opinions. With more than 40 years of expert experience in successfully handling car accident claims in Riverside County and all of California, we are a group of accident injury lawyers serving those injured in Riverside County, California. Further, our accident attorneys and law offices work towards winning your case with a better than 95% success rate, recovering over $100 Million Dollars for our personal injury clients and assist our clients with car damage repair or replacement, loan cars, doctor and other medical care and when needed transportation to and from their doctors, advances and emergency loans, settlement and overall expert car accident legal advice to make this process as easy as possible. Please call us now at 818-222-3400 or 1.866 INJURY 2 (after hours dial “1”) for your FREE consultation and case evaluation. There are many time deadlines, including the California statute of limitations, and procedural rules and requirements, including set forth in many car, motorcycle and truck insurance policies, so please do NOT wait and please don’t risk losing or waiving any of your rights. Vehicle Repairs: We help our clients with vehicle repairs after a car or truck accident. Apart from this, our Riverside County, CA lawyers and law offices often can help you with towing, storage, rental cars and replacement, as appropriate. Medical Care: Our Riverside County, CA attorneys are aware of the urgent medical care needed after a car or truck accident. Therefore, we find doctors, chiropractors, therapists, dentists, psychologists, MRI scans and other medical experts to treat and supervise your recovery process. Additionally, health care providers know how hard it is to deal with car accident injuries and unfair insurance companies so most will wait for payment until your car, motorcycle or truck crash case is resolved. Cash Advances/Emergency Loans: Riverside County, CA car accidents can prove to be rather costly with the loss of income and increasing medical bills making the situation from bad to worse. However, our lawyers and Riverside car accident law offices often may assist you in obtaining loans and cash advances as appropriate. Transportation to Doctor: Our Riverside County, CA car accident lawyers and law offices will help you find medical care, help you make appointments and, if needed, often we can help you get transportation to the doctor and back home again. If you suffered a Riverside County, California car accident, call us right now for your FREE & CONFIDENTIAL personal injury advice and FREE consultation. Simply go to our contact us form and tell us about your car accident case. Further, look through lawyer profiles and learn about our experienced attorneys. Besides this, learn about the formalities, procedures, and rules associated with Riverside County, California personal injury and wrongful death car accident claims by visiting our Car Injury Accident Web Site; and for specific advice about your own particular car accident case please call us at 818-222-3400 or 1.866 INJURY 2 (after hours dial “1”) for a FREE & CONFIDENTIAL consultation on your car accident injury case. Remember, we offer FREE legal consultations on Riverside County, CA car accident claims and provide our services on contingency basis, which means our fees are usually paid by the other parties’ insurance company when your claim resolves and does not come out of your own pocket. We receive NO fee until you WIN so you can be sure we shall fight our hardest for you to WIN! 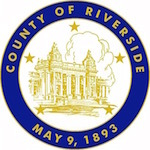 One of the fifty-eight (58) counties in California, USA, Riverside County has a large population of 2,189, 641, according to the 2010 US Census. 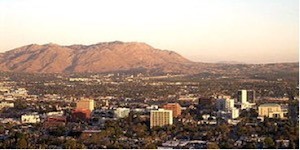 Riverside County covers a considerable region of land in the Inland Empire, covering a vast area of 7,208 square miles, starting off by the Greater Los Angeles area and extending to the Arizona border. 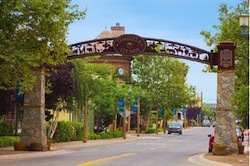 Additionally, the Coachella Valley region of Riverside County features the resort cities of Rancho Mirage, Palm Springs, Palm Desert, Indian Wells, and Desert Hot Springs. Apart from this, Riverside County covers a major part of Joshua Tree National Park. 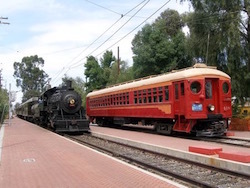 In addition, these are several tourist attractions across Riverside County like Temecula Valley AVA Wine Region, Palm Springs Desert Museum, Western Science Center, Living Desert Zoo and Gardens, Orocopia Mountains, Mission Inn, Orange Empire Railway Museum, and March Field Air Museum, to name a few. Recovered for our clients monetary settlements of over $100,000,000.00. 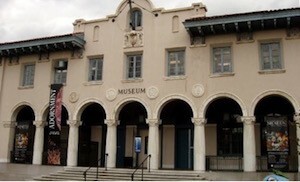 Over a 4-decade-long membership with California State Bar. For some quick and easy and FREE advice, fill-out our contact us form and fill us in on your Riverside County, CA car accident or other California personal injury or wrongful death claim. 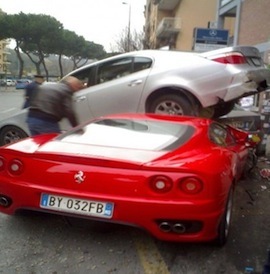 Our car accident and personal injury consultations are absolutely FREE. We also work on contingency fee basis… Meaning NO Fee to you until You WIN! There is NO reason to wait and with California time deadliness and procedural rules, its best to call us now.